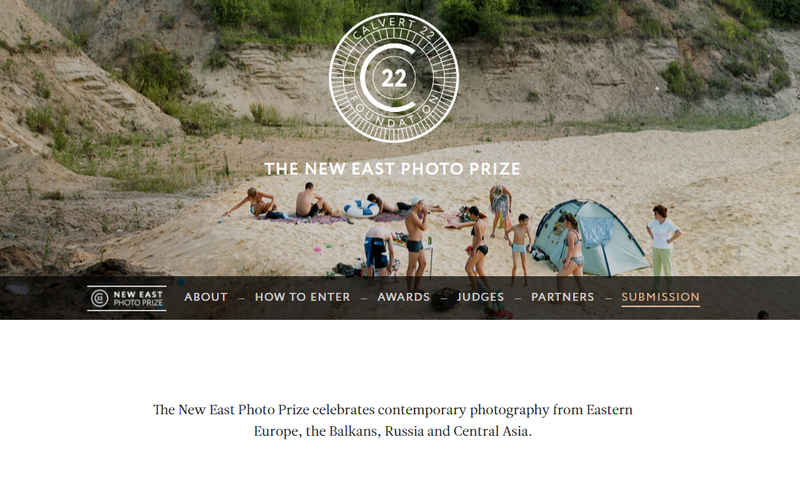 Calvert 22 Foundation and The Calvert Journal are proud to announce their inaugural New East Photo Prize , an award seeking to champion outstanding projects that offer an insightful, contemporary perspective on the people and countries of the New East – Eastern Europe, the Balkans, Russia and Central Asia. The Prize will recognise practitioners offering representations of the social, cultural and physical landscape of the New East and other perspectives on that region. Although hugely diverse, the countries of Eastern Europe and the former Soviet Union are often represented in an outdated manner which negates the rich culture and variety of creative output from these nations. The Prize seeks to broaden perceptions of the New East through the medium of photography. The Prize is free to enter, and invites professional and non-professional photographers alike who are nationals of Eastern Europe, the Balkans, Russia and Central Asia to submit a finalised project made within the last two years. The work will then be judged by an international panel of leading industry professionals, including awardwinning photographer Donald Weber, Creative Director of Calvert 22 Foundation Ekow Eshun, leading curator and critic Kate Bush and Head of Photography for the Guardian and the Observer Roger Tooth, amongst others. The winner of the New East Photo Prize will be offered the opportunity to publish a photobook based on their submitted work and will also take part in a two-month group exhibition of shortlisted work at the Calvert 22 Foundation’s space in London. A Special Prize, dedicated to unfinished documentary projects, will be awarded by New East Photo Prize partner Bird In Flight, an online magazine about photography and visual culture. In addition, the artist will be profiled in The Calvert Foundation’s award-winning online magazine, The Calvert Journal. The winner and selected finalists will also have their work featured by New East Photo Prize partners the Guardian, Bird in Flight and other regional organisations. Projects can be of any style or genre and can be captured in any format – film, digital or mobile. Entries may include moving image and the subject matter is at the discretion of the photographer. Practitioners working in a range of photography fields such as portraiture, landscape, documentary, contemporary art and architecture are welcome.